The mission of this program is to develop a dynamic, network of collaborative faculty and projects that facilitates and expedites the translation of pre-clinical research into approved or proven drugs, therapies and diagnostics with real-world benefits. Our members rely heavily on the use of established animal models, including spontaneous animal diseases models, or use molecular genetics to create new animal models. Faculty in this program have formed the following areas of excellence and focus within the TPP: gastrointestinal physiology, pain physiology and management, nutritional physiology, cancer and host response, translational pharmacodynamics. As joint Associate Directors for the CMI, Dr. Anthony Blikslager and Dr. Scott Laster bring an excellent balance of basic and clinical research experience to the TPP. 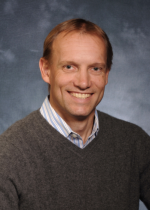 Dr. Blikslager has significant experience and understanding of clinical research, and the practical translation of basic research to the clinical setting. His focus is on the mechanisms by which the gut repairs and regenerates following injury, including ischemia/ reperfusion injury, ulceration, and inflammatory insult. 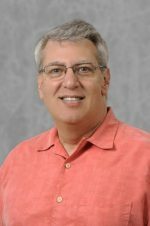 Dr.Laster is a Professor of Microbiology and Immunology and his work focused on defining new treatments for the damaging inflammatory response that often accompanies infection. The Laster lab is also investigating the mechanisms underlying food allergy, specifically the effects of certain food allergens on cytokine production by dendritic cells. Combined, Dr. Bliskalger’s and Dr. Laster’s role is to look for opportunities and initiatives that will assist basic and clinical researchers to collaborate in the transition of basic discovery to ‘cage side’ or ‘bed side’ clinical/drug therapies.